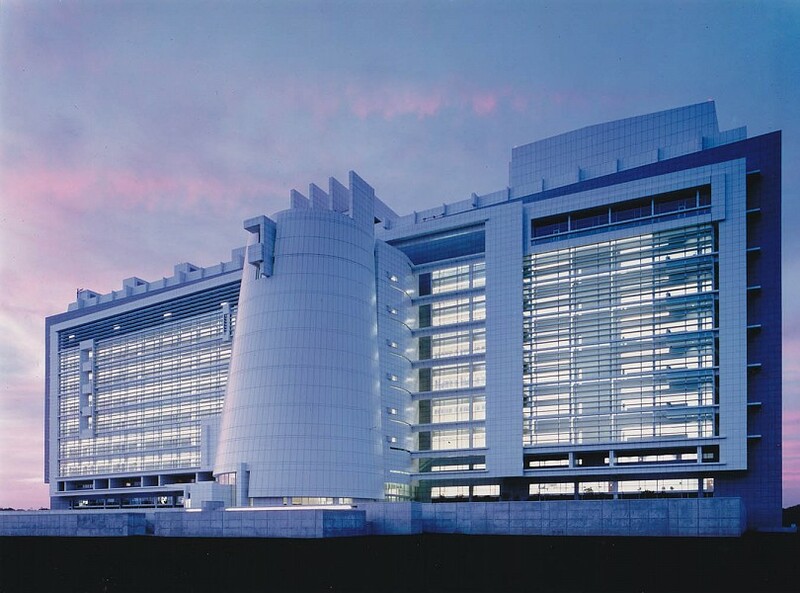 The Federal Courthouse in Central Islip, Long Island is a 2-story, 870,000 GSF facility. The Courthouse includes 23 courtrooms, one special proceedings courtroom, 13 district courts, 4 Magistrate courtrooms, and 5 bankruptcy courtrooms. In addition, there are spaces for 25 judges chambers, a law library, offices for federal agencies, and a cafeteria. The building is 235 ft. tall and is one of the tallest structures on Long Island. 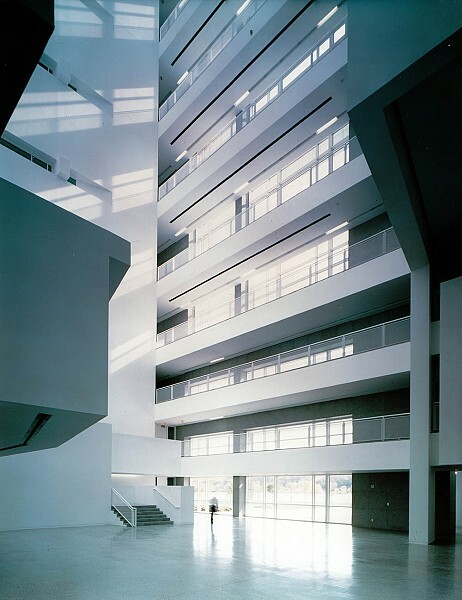 Considering the mixed usage, the building needed to have a structure adaptable to long span and short span situations with a variety of possible loadings, while conveying a sense of security to its users. In order to achieve the 15-foot ceiling height required within the courtrooms by federal guidelines, the design was closely coordinated with the architecture and the mechanical systems, avoiding increased floor heights and additional costs. A 175-foot open rotunda with tapered round walls, structured out of a steel space frame, forms the entrance of the courthouse. 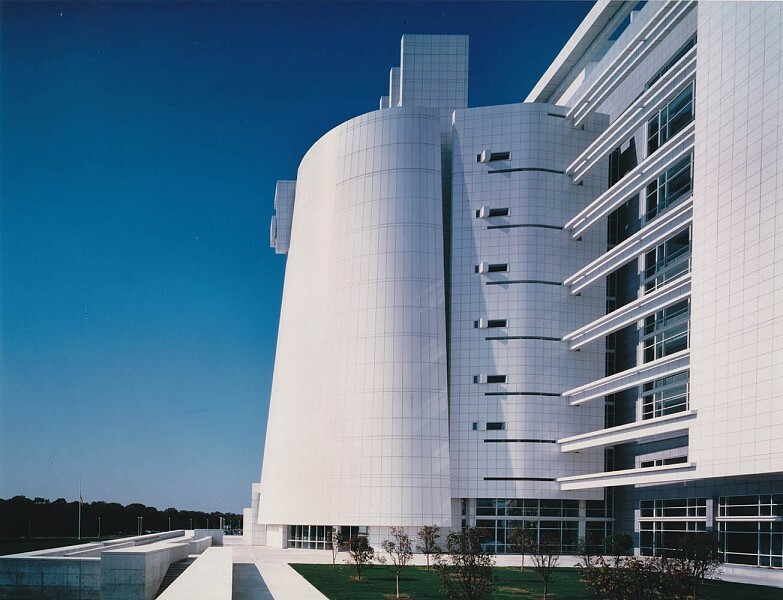 The rotunda is clad mostly in glass and is traversed with bridges on both the north and south faces, serving not only to connect each side of the building, but also as structural supports. The basic structural system of the courthouse is composed of steel framing supporting a concrete on composite metal deck floor slab. Its lateral force resisting system was engineered to resist both wind and earthquake forces.